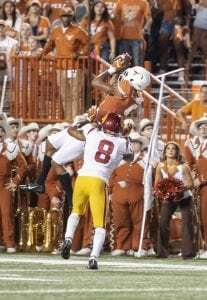 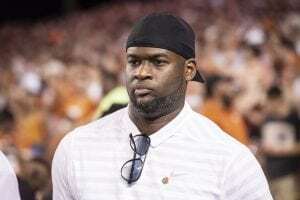 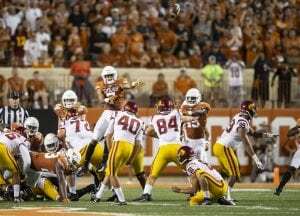 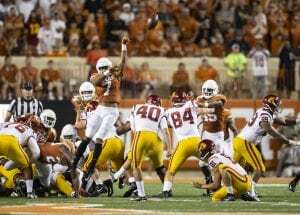 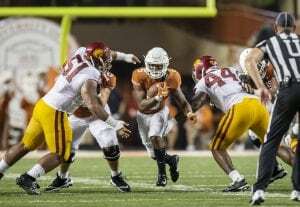 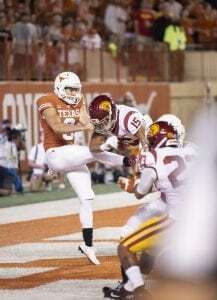 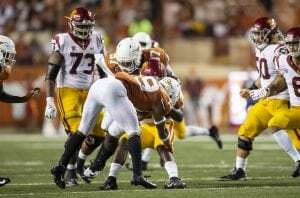 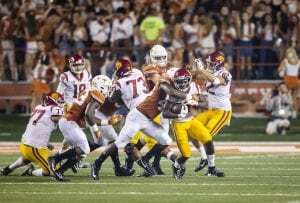 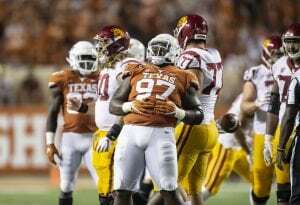 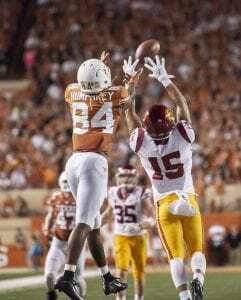 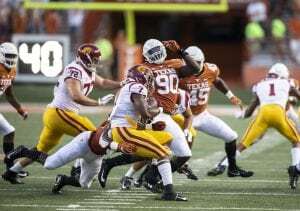 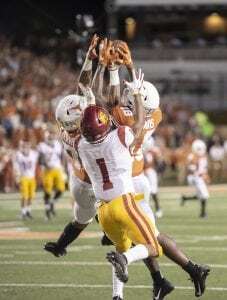 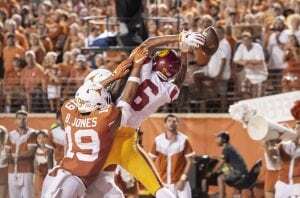 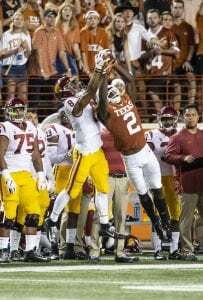 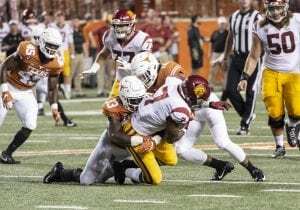 The Texas Longhorns grabbed their first big win of the season in a come from behind victory over the USC Trojans Saturday. 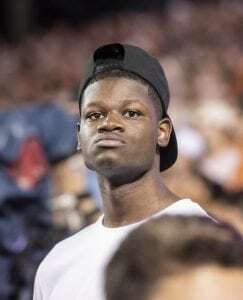 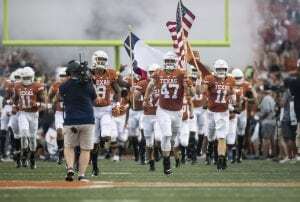 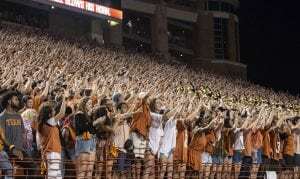 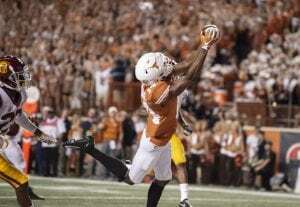 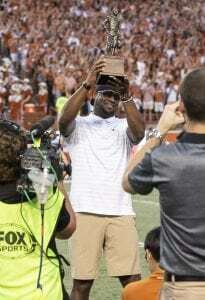 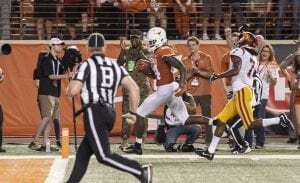 In front of a full DKR-Texas Memorial Stadium packed to the brim with Burnt Orange, the Horns important win was big for the present, and the future because there were a number of high-end recruits visiting Austin for the much-anticipated game that fulfilled everyone's expectations. 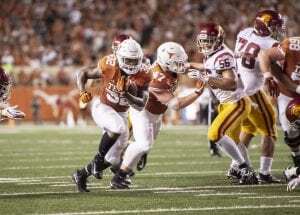 Texas helped their chances of landing a few of them by hanging tough in the first half before busting out to take complete control in the second half. 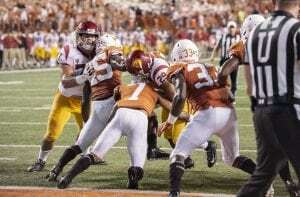 The Longhorns open up their conference schedule next Saturday, Sept. 22 at 3:30pm at DKR. 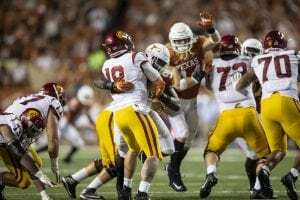 Texas will face a very competitive TCU team who are coming off of a home loss to the No. 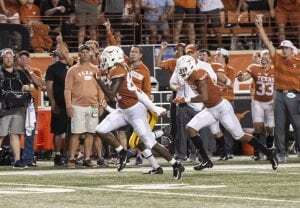 4 Ohio State Buckeyes. 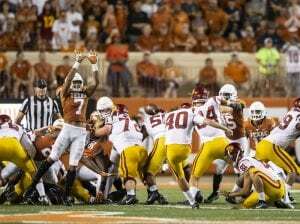 Here's an insider's look at the game. 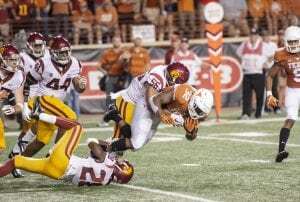 DL Chris Nelson and DB Brandon Jones team up to bring down USC RB Stephen Carr. 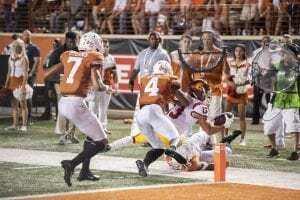 (Photo Don Bender/Horns Illustrated). 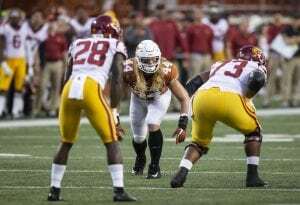 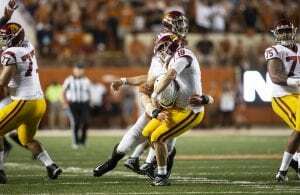 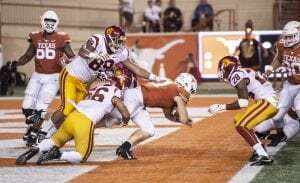 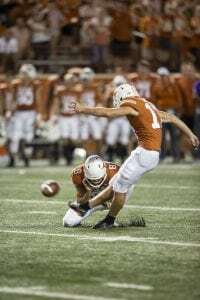 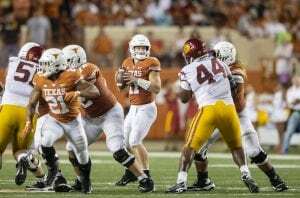 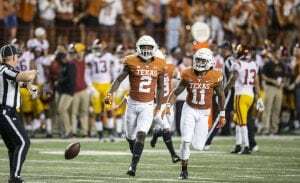 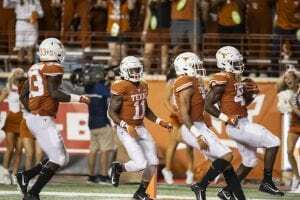 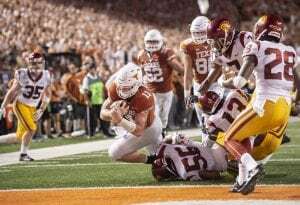 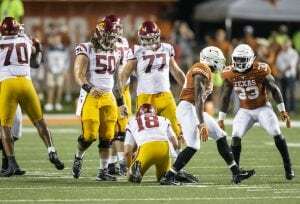 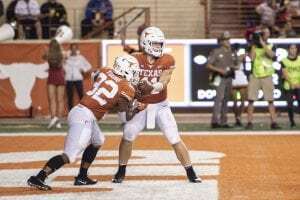 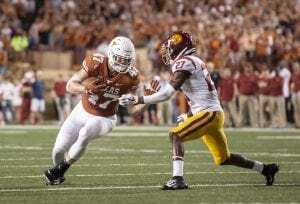 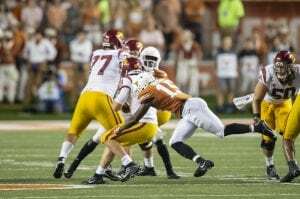 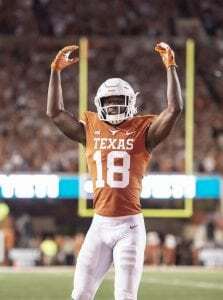 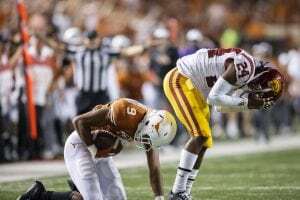 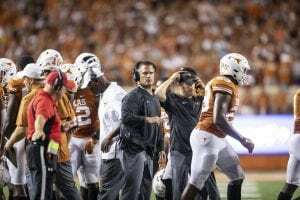 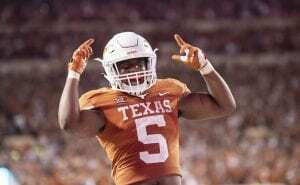 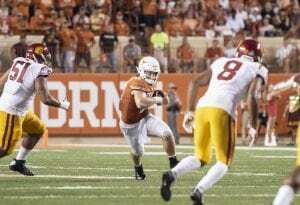 Quarterback Sam Ehlinger and the Texas football team ran over USC, 37-14, Saturday in Austin, effectively reversing the early-season predictions of doom and gloom (photo by Jose Mendez / Horns Illustrated).